This is a classic Rick Hinderer design, but built in pure steel with matte grey titanium carbo-nitride coating on both blade and handle. The Cryo opens quickly with SpeedSafe assisted opening. Access it with the built-in Flipper or thumbstud. A sturdy framelock with lockbar stabilization ensures a solid lockup. 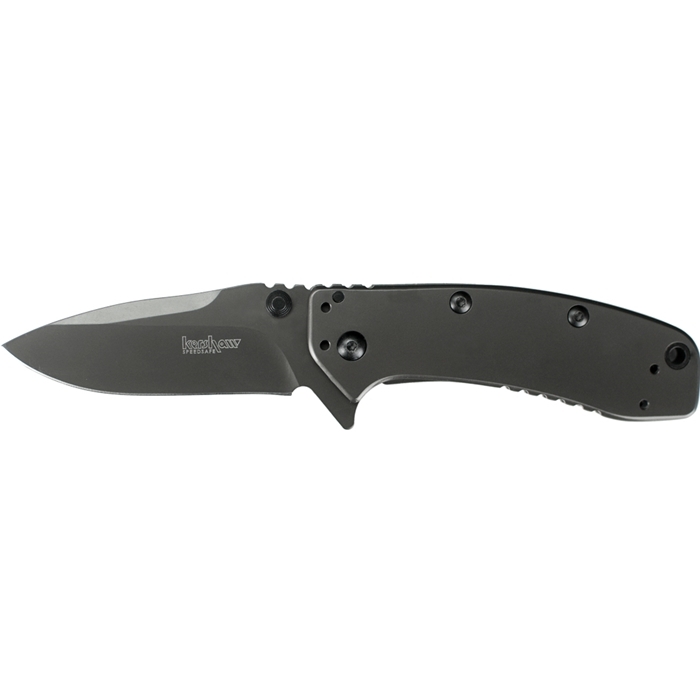 This amazingly affordable Kershaw is destined to be the Hinderer for the rest of us. The Cryo II is 20% larger than the Cyro.